This entry was posted in Content and tagged 1 LAA Rgt, 15 LAA Rgt, 4th Indian Division, 57 LAA Rgt, 7th Armoured Division, air defense, light AA, Stuka. Bookmark the permalink. I read it to mean that air raids – esp Stuka divebombing – was a negiligble nuissance, which “can, in no way, be compared” to the significant destruction to be expected when coming under artillery or direct tank fie. Buckingham (“Tobruk”) Would seem to agree with this also, though indicating considerable investment in the AA defences from the commonwealth forces at the time in order to reduce the effectiveness of the luftwaffe – reduced dive angle and increased altitude at bomb release. Perhaps by Jan ’42 the AA emplacements were growing bored as this book suggests the last major attacks by the luftwaffe and regia aeronautica were in september ’41? 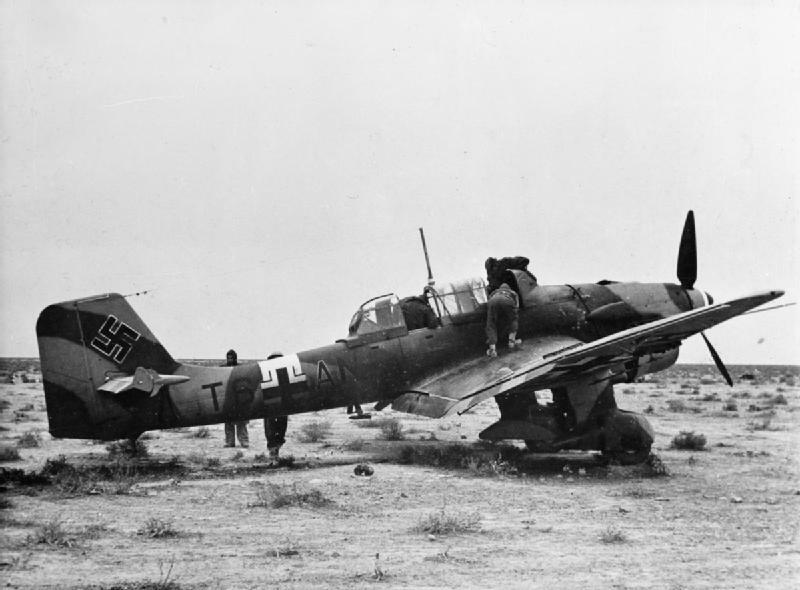 If this is the case does not indicate the luftwaffe realised their effort would be better spent on the Eastern front? For Tobruk, that’s correct. For the main CRUSADER battle however, there was considerable air activity and attacks on ground forces throughout the first four weeks (until the Axis forces retreated from the Gazala position), and the report here refers to this period, rather than the siege of Tobruk. that makes sense then – for the breakout phase the effectiveness of the dive bombers is questionable. Look forward to your analysis, keep up the good work, thanks for the pointers!